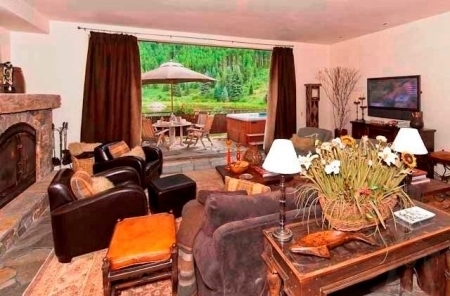 This condo is warm and inviting as it is our second home and we love the mountain decor that Telluride requires. The condo is spacious with upgrades throughout and we have added our finishing touches so that you feel at home while enjoying being away. Sitting next to the fireplace in the winter watching the snow fall, or opening up the patio door to listen to the creek in the spring and summer, you can't go wrong with either scenario. 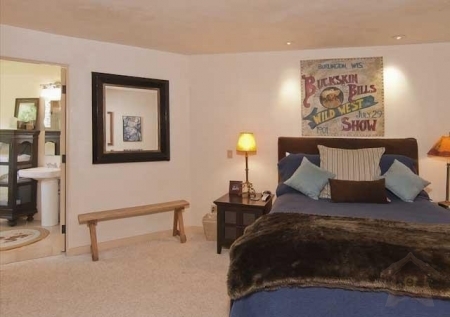 The huge master bedroom with Jacuzzi tub and steam shower occupies the entire second floor and has its own fireplace and covered teak furnished balcony. 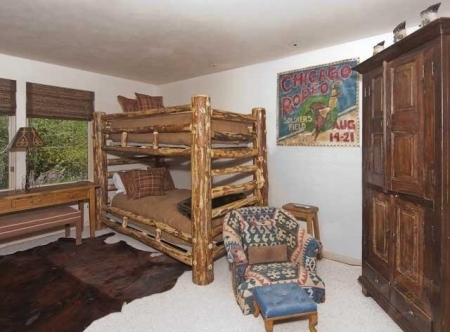 The second and third bedrooms are located on the bottom floor and feature two bunk beds in one room and a king in another; each have their own patio. The open floor plan consists of vaulted ceilings, dramatic window openings, hardwood floors and a gas fireplace in the living, kitchen and dining rooms. The kitchen is fully equipped for the chef of the day with upscale appliances and breakfast bar. Rivercrown vacation rental rates $620 per night. Rates are subject to change without notice. 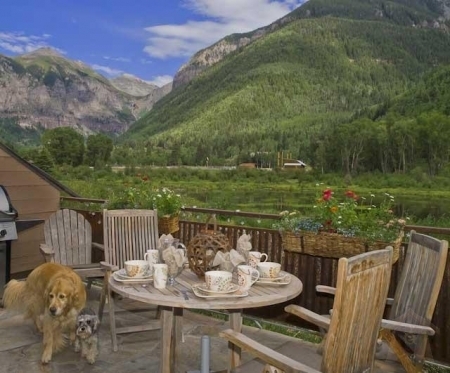 Skiing, snowboarding, snowmobiling, hiking, fishing, horseback riding, mountain excursions they are all part of the fabric of Telluride. And don't forget to bring an extra suitcase, the shopping is fantastic!